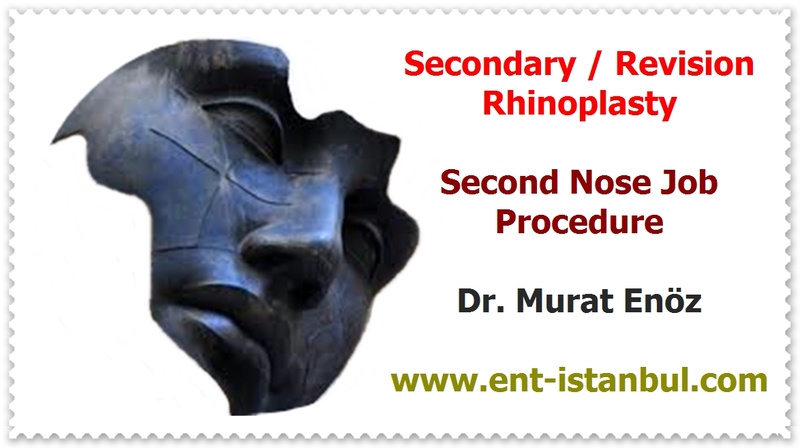 Health Zone Turkey: How Can A Successful Rhinoplasty Operation Be Defined? How Can A Successful Rhinoplasty Operation Be Defined? Aesthetic nose surgeries are not just surgeries designed to make the shape of the nose more beautiful. There are also some problems in the nasal function at the same time in patients whose nose shape is often problematic. ​​What should be expected from a successful nasal aesthetic surgery? The nose that emerges as the result of successful nasal aesthetics must be absolutely personal, it must be compatible with the face structure of the person. The nose should be proportional to gold ratios in itself and balanced with other neighboring structures (eyes, cheeks, lip, chin, eyebrows) of the face. No matter how beautiful the nose alone is, it does not look natural if it does not provide integrity with the face. 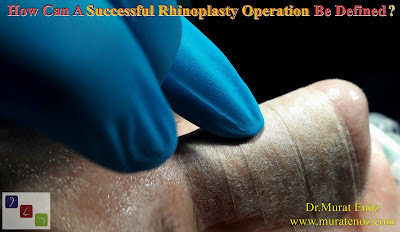 However, even the relatives who do not know that it is the surgery which is the most desired naturally seemed naturally, even if they have a pleasantness, a beauty, what they have done to the sender, it is better for them to say "The nose aesthetic gives more vivid, brighter, more positive and more youthful expression. Patient's eyes are becoming more foreground. In patients who have previously undergone surgery or have traumatic nasal deformities, a perfect and symmetrical nose may not be obtained after a nasal aesthetic operation. 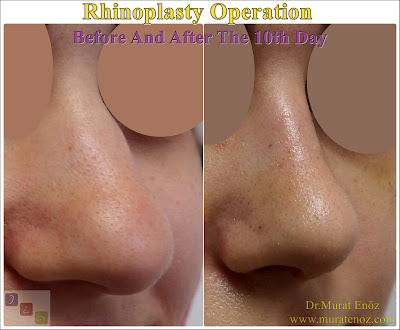 The nose is more beautiful and natural than before surgery; Although it is not perfect, it is a success to make the appearance of the nose very much. Nasal aesthetic surgeries and computer nasal aesthetic imulation programs should not be confused with each other. As a result, a live tissue is being operated, and tissue healing after the operation and care of the patient also affects the surgical result as well as the surgical techniques. Sometimes it is emphasized that the patient who has deformities in the nasal cartilages and does not have enough cartilage in the nose can not achieve complete symmetry with only 1 operation. While our nose is in the midst of our present day and as part of the facial expression; as well as a unique system that works like a heating and humidifying device that cleans, purifies and replenishes the outside air. Our main purpose is to change the shape of the nose by maintaining or increasing nasal functions.